Companion Recipe eBook ($8.95 Value)! 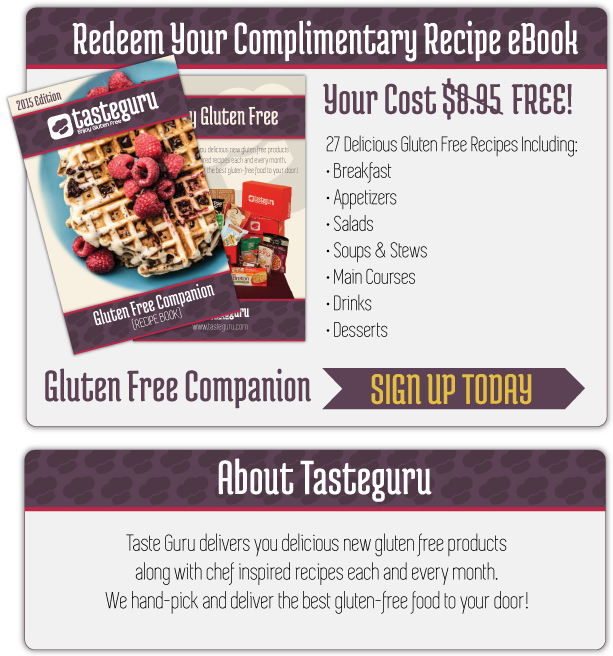 I understand that by clicking the "Get My Recipe eBook" button, I expressly authorize Taste Guru to call me or send me recorded messages or texts about their products using automated technology to my telephone/cellular number I entered above. I understand that I am not required to give my consent as a condition of any purchase, registration, or receipt of an eBook.